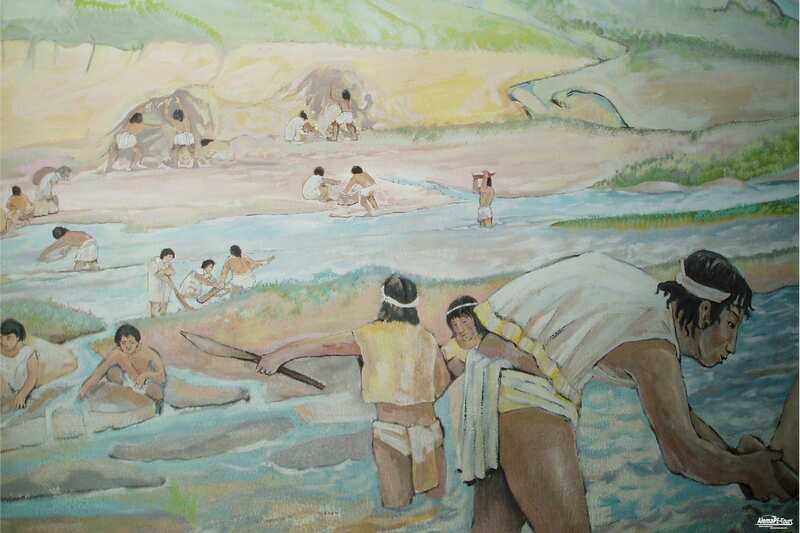 Archaeological finds point to a human settlement of today’s Perú from about 12,000 BC. From 1,500 BC to about 1,600 AD, various Indian civilizations developed on Peruvian soil, such as the Chavín culture, the Paracas culture and the Nazca culture. From about 1,200 developed in addition the culture of the Incas, whose empire in his wedding covered almost the entire territory of today’s Andean countries of South America. The Incas led a strictly hierarchical empire, whose population was at times up to about 12 million people and was governed centrally by a priest king. The Priest-Kings of the Incas were at that time as sons of the Sun God. Among the best known examples of Inca culture include ruined cities such as Machu Picchu, Kuelap, Choquequirao and Waqrapukara. In 1532, the first Spaniards landed on the north coast of Peru, quickly conquered the Inca Empire and almost completely eradicated the Inca culture within about 40 years. It was followed by the colonial period under the Spanish crown, which was repeatedly characterized by resistance of the indigenous people and in a major uprising in 1780 flows. But only in 1821 succeeded the independence fighter Simon Bolivar to free Peru from colonial rule – in Peru, the independence of the country was proclaimed. Until the 1950s, elected governments and military leaders alternated at the head of Peru. In the presidential election in 1990, the Japanese-born Alberto Kenya Fujimori and led the people authoritarian in the next millennium. After its fall in 2001, the Republic of Peru is now on a long road to more democracy, economic development and equality of indigenous people. In the second presidential term of Alán García Pérez some traffic altering measures were started. It is now again invested in railways and rail lines and the expansion of the traffic facilities (including the road network) begun. Until then, in many places in Peru, many buildings, much of which had been forfeited by decay, were as monuments left to natural decay. On July 28, 2011 Ollanta Moisés Humala Tasso took over the presidency. The first months Humala tried above all to win the trust of entrepreneurs who had previously been close to his counterpart Keiko Fujimori. Major themes of his first year in office were the Conga mining project in the Peruvian Cajamarca region, the increase in the minimum wage, and the start of announced social programs. The current president, Pedro Pablo Kuczynski, is the son of a Berlin-born physician and a French teacher. His parents fled in the summer of 1933 after the seizure of power by the National Socialists and the associated reprisals because of Jewish origin on the German Reich. Pedro Pablo Kuczynski Godard defended his rival Keiko Fujimori in a very close runoff election and has been in office since 28 July 2016. 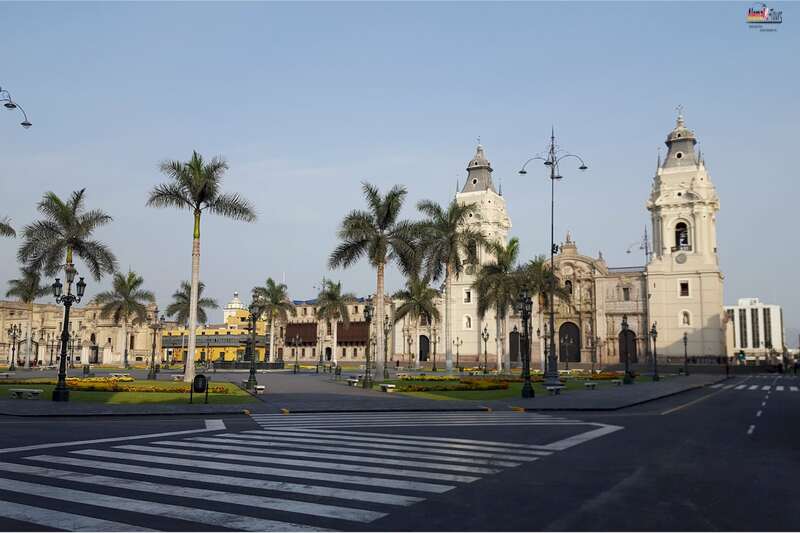 The largest cities are Lima (7,363,069 inhabitants), Trujillo (861,044), Arequipa (860,000), Callao (824,329), Chiclayo (634,600), Iquitos (400,000) and Huancayo (350,000). Lima ist die Landeshauptstadt des südamerikanischen Andenstaates Perú und die mit Abstand größte Stadt des Landes. Im Verwaltungsgebiet der Stadt, der Provinz Lima, leben 8.890.792 Menschen (Stand 2015). In der der Gesamtumgebung Limas mit der Hafenstadt Callao leben insgesamt etwas zehn Millionen gezählte Einwohner. Beide Städte bilden die Metropolregion Lima (Área Metropolitana de Lima). Lima ist einer der wichtigsten Verkehrsknotenpunkte, sowie das bedeutendste Wirtschafts- und Kulturzentrum von Perú mit zahlreichen Universitäten, Hochschulen, Museen und Baudenkmälern. Die Altstadt von Lima wurde 1991 von der UNESCO zum Weltkulturerbe erklärt. Der regierende Bürgermeister ist in zweiter Amtszeit Óscar Luis Castañeda Lossio. Hauptziele seiner Politik der ersten Amtszeit von 2003 bis 2010 waren vor allem die Verbesserung der unzureichenden Infrastruktur und die Bekämpfung der hohen Kriminalität in Lima. Seit seinem Amtsantritt wurden mehrere neuralgische Verkehrsstaupunkte entschärft und einige größere Straßenbauprojekte begonnen. Positiv wurde von den Bürgern zudem das großangelegte Programm zur Begrünung der Stadt aufgenommen, das den Freizeitwert der Stadt erhöht und zugleich die eklatantesten Probleme bei der Müllbeseitigung gelöst hat. Perú officially has three official languages. The most common language is Spanish, which is spoken by about 80% of the population as a native language, also indigenous languages ​​are in use, of which the Quechua with 13.2% and the Aimara are the most common. The Spanish Perus has a variety of regional colors. Common to all, however, is the widespread throughout South America Seseo. English is spoken in the tourist centers, hotels and shops. Nevertheless, every native is happy if the guest even tries to communicate with him in Spanish – you will be surprised how much more helpfulness and friendliness you meet! If the communication is still difficult, your travel guide will of course help you with the translation. The time difference compared to the Central European Time is in Perú – 6 hours (Perú: 12:00 clock – Germany: 18:00 clock). During the Central European summer time it will be 7 hours. Selva (rain forest, cloud forest) about 60%. Along the coasts extends from the Ecuadorian to the Chilean border a wide, dry coastal desert. Only the approximately 50 rivers that flow from the Andes into the Pacific and a smart irrigation system, provide the region with water and fertile soil. Just to the north in the direction of Tumbes, are the most beautiful sandy beaches in the country. Just south of Lima are the Ballestas Islands a species paradise with a rich wildlife such as sea lions, Perútölpeln, flamingos and Humboldt penguins. The Andes Bergland of Perú occupies about 30% of the land area and traverses the country from northwest to southeast. The three mountain ranges (Western, Central and Eastern Cordillera) unite in Central Peru and forking further into Western and Eastern Cordillera. In between lies the Altiplano, a plateau at about 3.600m altitude, which begins at Lake Titicaca and extends to Bolivia. The highest elevation of the country is the Nevado Huascarán at 6,768m. The Amazon Basin is the lowland area in the east of the country and occupies more than half of the national territory (about 58%). Peru is after Bolivia the country with the second largest contiguous jungle area. The sparsely populated Selva consists of a huge, closed rainforest area, which is crossed by huge river systems and tributaries. The largest river in the region is the Rio Amazonas, which rises in Peru through the confluence of its source rivers Ucayali and Maranon. According to the 2007 census, about 81.3% of the population over the age of twelve describes themselves as Catholic. About 12.5% ​​as evangelical, or evangelical. Some 2.9% say they are not religious and 3.3% state that there is no religion. The share of Catholics in rural areas is about five percentage points lower than in cities. The vast majority of Peruvians is nevertheless Roman Catholic. This is a consequence of Christian missionary work following the conquest by the Spaniards and independence after mission by missionary groups from Peru itself, from Germany, the USA, Italy and other countries. During the course of the Konquista, idols and religious objects were continually moved eastward to deprive them of the Spaniards. Starting from the Inkanat Vilcabamba it came once again to a flare of the ancient cults. The Spanish administration under Francisco de Toledo responded by resettling in Jesuit reductions. In particular, monks were involved in the missionary activity, including Dominicans and Franciscans, later also Jesuits (in Maynas, today Diocese of Chachapoyas). Despite centuries of combating indigenous traditions, not least in rural areas, the Catholic-Christian rites are mixed with religious traditions from pre-Columbian times (syncretism), which manifests itself especially in religious festivals. Important religious events are the Catholic feast Señor de los Milagros in Lima and in Cusco the sun festival Inti Raymi. This original Inca festival was re-established in the wake of a growing recollection in 1944. The Indígenas of the Amazonian lowlands still have their own religions and ideas, for example, the religion of the Asháninka. As in many Latin American countries, evangelical and charismatic churches and denominations such as Seventh-day Adventists, Assemblies of God, and the Evangelical Church of Perú, as well as other groups such as Jehovah’s Witnesses and Mormons, have been attracting a great deal of attention in Peru for several decades. partly financially supported by the US – active and sometimes aggressive to recruit members. There is compulsory voting in Peru. If an eligible citizen does not appear for the presidential elections, he must pay a bus money (Multa) in retrospect. However, since these are secret elections, the delivery of non-usable ballots can not be punished. Peru owns nearly 2300 km of railway and 72,900 km of roads. The main transport routes for the country are the Panamericana and the sea routes to North America, East Asia and Europe. Due to the large differences in altitude of the Andes continue to be infrastructural problems, especially in all leading into or over the Andes axes. The expansion is very fast. 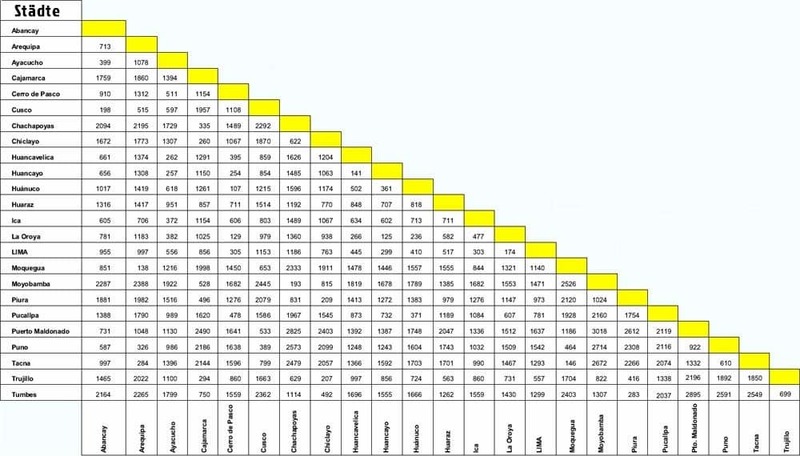 Within a few years, the proportion of paved roads on these axes increased from about 15 to almost 50 percent. Roads at high altitudes remain very susceptible to maintenance, despite the constant expansion, so that the extensions are for a large part not long-lived. As in other countries of the region, public transport bears the brunt of travel and is present almost everywhere. Direct, long journeys are mainly served by night buses or by flights. The Peruvian roads are among the most dangerous in Latin America. In the years 2009 to 2012 alone in bus accidents about 5000 people were killed. Secured figures on road deaths, however, are not available. The Aeropuerto Internacional Jorge Chávez is located in Callao near Lima and handles almost all international flights. There are also smaller airports for domestic traffic in each city, 40 of them with hard-facing slopes, another 100 with natural runway. In the primeval forest region (Selva) there are places that can only be reached on military runways. The Peruvian rail network consists of several non-interconnected subnetworks. Currently there are between 2,200 and 2,300 kilometers in operation. About as many train kilometers were eventually shut down. The three largest networks were operated for decades by the state railway company ENAFER, but in the years after 1990 they were largely privatized. There are currently four private operators: Ferrocarril Central Andino (480 kilometers from Callao to Huancayo and Oroya to Cerro de Pasco), Perurail and the FTSA consortium led by Orient Express Hotels (1,000 kilometers between Puno, Cusco and Machu Picchu) , Southern Copper Corporation (230 km route between ports Matarani, Mollendo and Ilo and mining areas) and GyM Ferrovías (21 km metro line 1 in Lima). The construction of a railway line connecting the most individual lines along the coast was once started, but makes little progress. One of Peru’s best-known railways and one of the few profitable ones is the route of the Peruvian Southern Railway (Ferrocarril del Súr) to the Urubamba Valley to Machu Picchu. In general, the Peruvian population does not think much of the rail traffic. Preference is given to using buses or shared taxis.